The Vinoble Spa Day: a Wonderful Retreat in Hamburg, Germany! 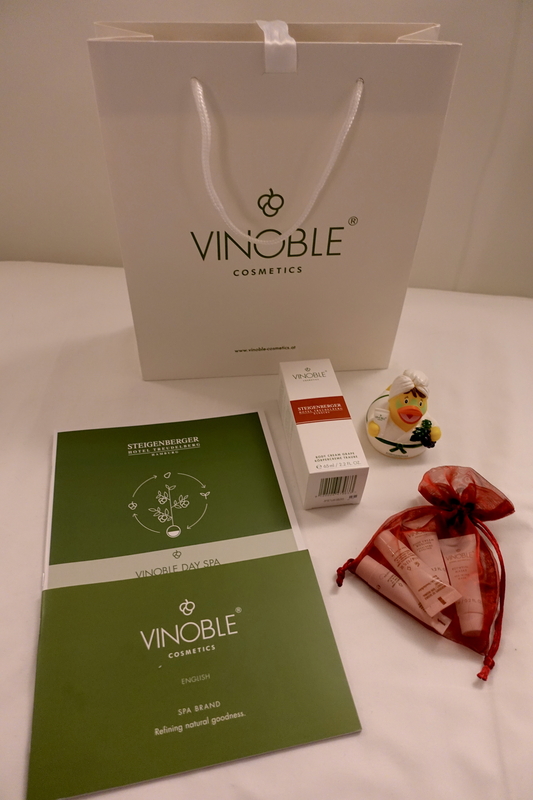 During my fabulous trip to Hamburg, I had the chance to experience the Vinoble Day Spa at the elegant Steigenberger Hotel Treudelberg Hamburg, where I had a wonderful and relaxing Sunday! This beautiful place is located around 30min driving up north from Hamburg city center, surrounded by a fantastic Golf Course. Before going to The Vinoble Day Spa, I had the pleasure to have lunch at the ‘Club Restaurant‘. I was sitting next to the window, where I noticed several members of the Golf Club playing despite the field was totally covered by snow! I never saw that before, so the staff explained to me that they have a special gear for playing during winter and colorful balls in order to be able to find them in the snow! At the Club Restaurant the menu was full of German dishes and I was curious to try some. Everything was really good and sophisticated, especially the desserts! 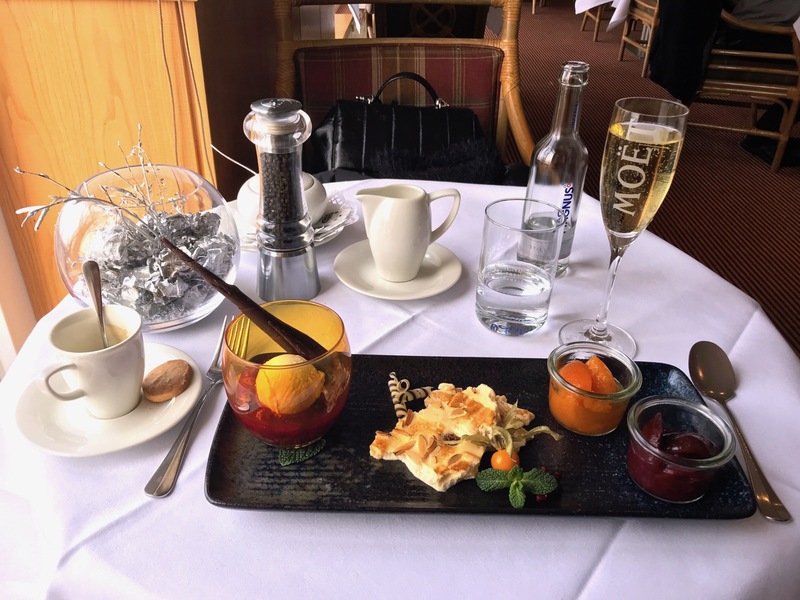 I got a selection of two typical desserts: the ‘Hamburger Rote Grütze’ and the ‘Geeister Kaiserschmarrn’, together with a glass of Moët&Chandon Champagne. Following the delicious lunch, the staff helped me to reach the Spa, which was located in a separate building from the Hotel main entrance, but connected underground to facilitate the guests movements and to avoid the cold weather from one building to another during winter time. 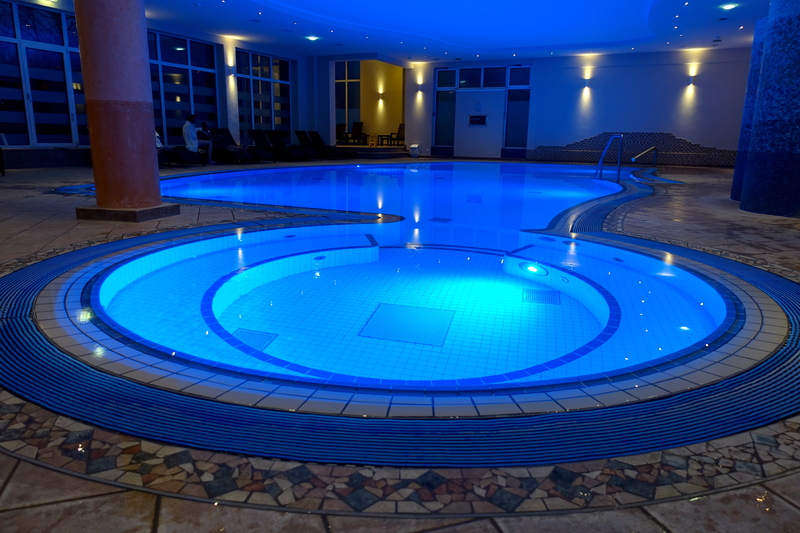 The swimming-pool is indeed located in the hotel main building, not in the Spa area. My fabulous afternoon started with the “Vinoble Barrique Wine-Bath”: 20 minutes of pure pleasure, with hydro-massage and some wine essence inside the water, which was smelling so good! The water was warm, like 30°C. The guests are able to choose the warmth of your water. 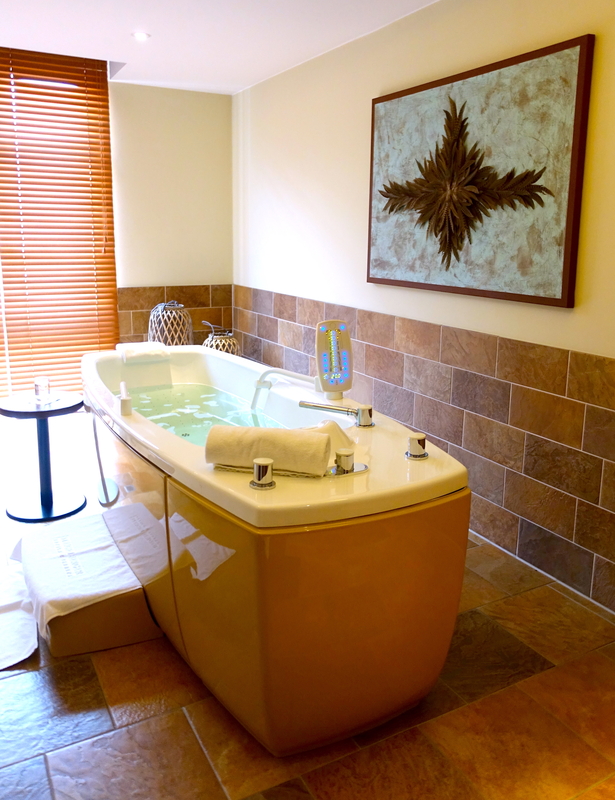 I felt incredibly good and relaxed after the warm bath! After that, the masseuse picked me up and brought me to another room for the following treatments. 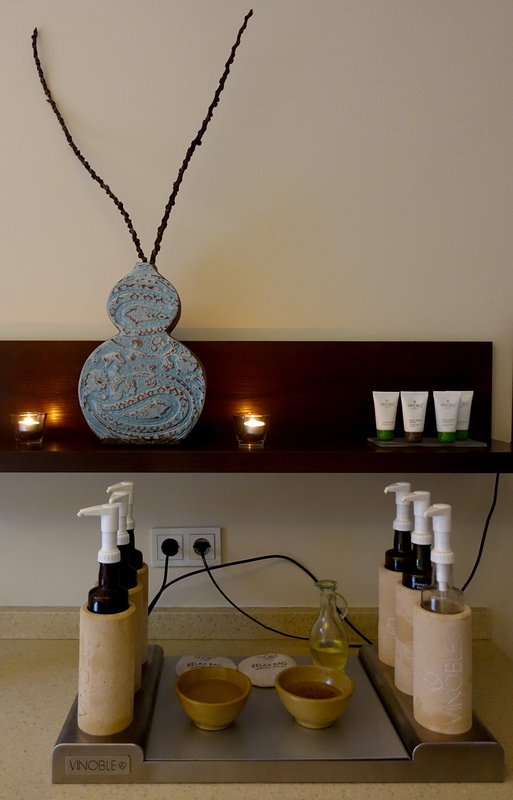 Before the massage, I got 30 minutes of peeling with mineral salts and dry grapes. I cannot explain with words how soft my skin became afterwards! I was positively shocked! Honestly the peeling itself is not very relaxing as it is a bit painful in some areas, but the result was worth it! When she completed the peeling treatment, I had a shower in order to get ready for a wonderful 50 minutes “Balance Massage”. 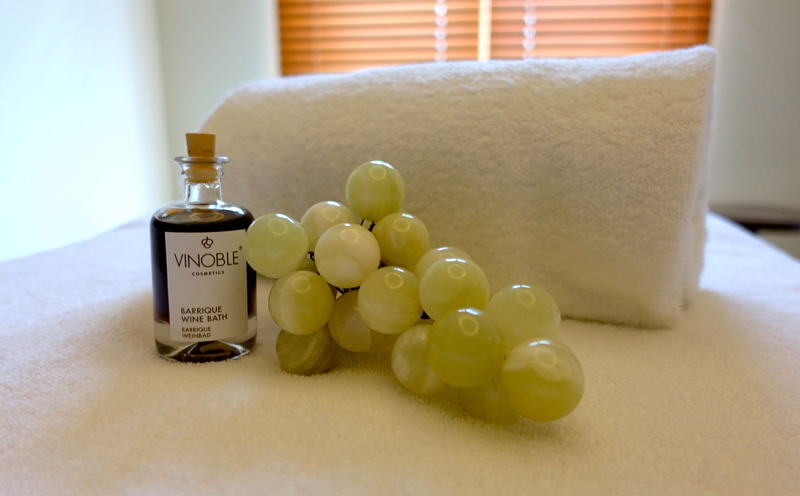 If you like to check the full menu of The Vinoble Day Spa, please click here. 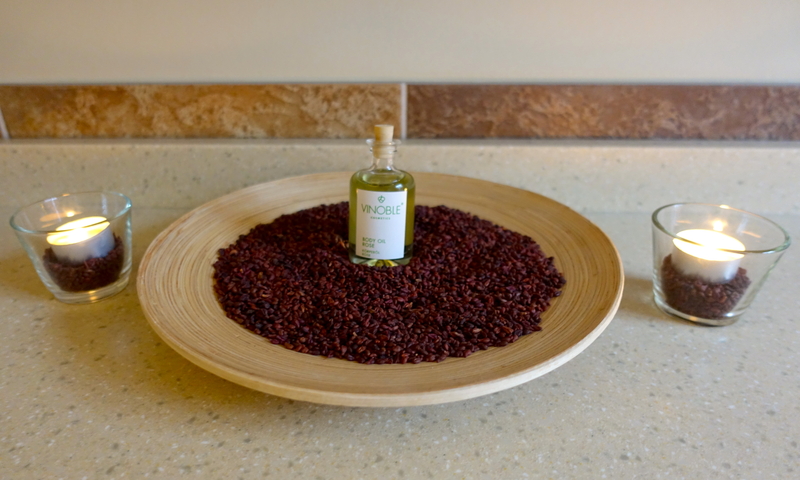 Moreover, they normally sell many of their own products such as creams, oils, bath salts etc. I was lucky enough to receive some of them as gifts, to try at home! If you like to try some of their great products, shop here! In the end of my afternoon at the spa, I decided to spend some time at the beautiful swimming-pool. The water was heated, so I went for a pleasant swim! The swimming-pool at the Steigenberger Hotel Treudelberg Hamburg is big and extremely well designed. Furthermore, it is very beautifully enlightened at night! I felt so spoiled at The Vinoble Day Spa, I’d highly recommend you to go if you happen to be in Hamburg! ← Top Things to Do on A Day Trip to Abu Dhabi!